The price of gas is expected to soar as a result of the tsunami that hit north east Japan on Friday, according to a UK national newspaper. Since the earthquake the wholesale price of gas has jumped by 3.7 per cent to 59.75p a therm. A number of Japanese nuclear power stations have been forced to close which has lead to speculation that Britain could face a drop in gas imports. Energy data provider, ICIS Heren, have warned that with the Japanese nuclear plants out of action, utilities will then be forced to bid for more LNG shipments which could divert supplies from Britain and, to a lesser extent, Europe. Edward Cox, editor of ICIS Heren, said: "The UK now sources as much as 30 per cent of its daily gas supply as LNG. This comes from large exporting countries such as Qatar. If the price rises sharply in Japan, we could see LNG diverted to that market and away from the UK." 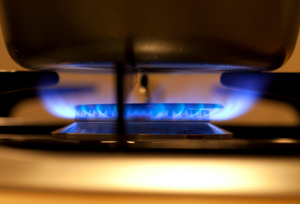 Consumers are being urged to compare gas and electricity prices to keep bill payments to a minimum. LNG is a gas which has been converted into a liquid so that it can be transported, before being converted back into gas and used as a fuel to generate electricity.